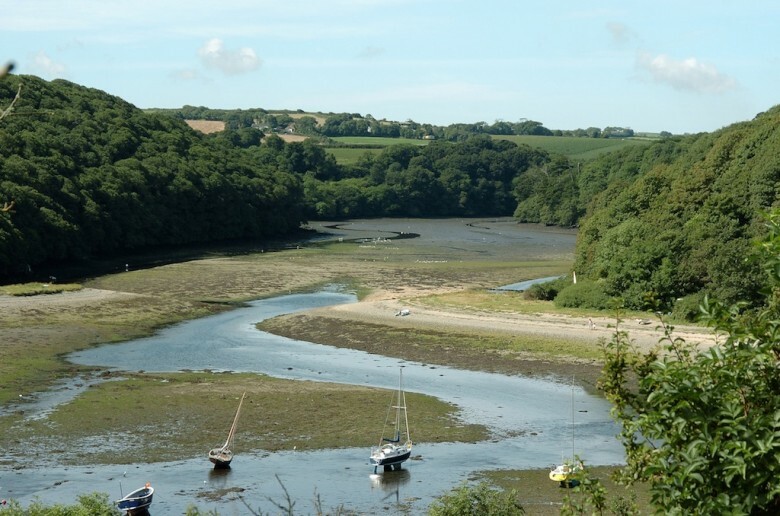 ...the tide has ebbed away and even the Narrows reduced to a trickle. The Guides to the South West Coast Path point out that the creek can be crossed here at low tide if you time it right - otherwise you have a detour of a couple of miles by road, or you can call for a ferry. The Royal Marines used to train here by crossing higher up the creek where the mud is deepest, carrying rifles and full packs, and during WWII agents were run from hereabouts to occupied France.